This standard describes precisely what it takes for an organization to be truly innovative, to make those changes big and small. It helps organizations get better at creating new and different services, products and processes and thereby stay relevant. Saving time, cost, and effort. Get smarter and better innovating capability improvement. This publication is the hierarchy or governing document of the core set (the maturity model), to which all other documents provide support or guidance. It is an advisory requirements document, not a management book, method or technique. The Standard is comprised of six elements. These elements form the essential parts of innovation: Culture, Leadership, Resources, Processes, Measuring and Monitoring, and Improvement. Within each element of the Standard there are numbered clauses. These clauses, fifty-nine in total, form the requirements of the Standard by element. The clauses are generic in nature (not sector- specific) and can be easily adopted by any type of organization. 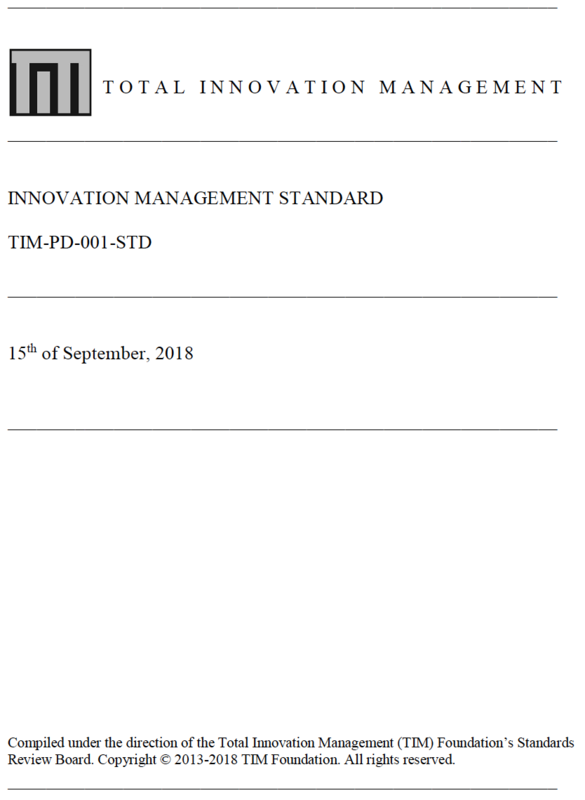 To achieve innovation maturity, organizations are assessed against the TIM-PD-001 Innovation Management Standard using the Assessment Checklist (or for simple level-1 assessments, the self-assessment checklist). Organizations should address each item in all elements of the Standard in some way. By doing so, the organization develops its own unique Innovation Management System. 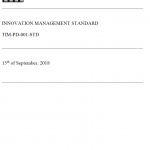 Why have an innovation management standard? Any organization, in order to stay alive and relevant, needs to continually adapt itself to its environment. Many of those changes are small, some changes and developments are significant and radical. This standard describes precisely what it takes for an organization to be truly innovative, to make those changes big and small. It helps organizations get better at creating new and different services, products and processes and thereby stay relevant. Saving time, cost, and effort. Get smarter and better innovating capability improvement. The accreditation and certification program (its rule set). A whole range of further support documents is available, such as for example a special guideline for using this standard in smaller organizations, a guideline for sustainability, a guideline on process, on innovation venturing, and many internal tools which help auditors and consultants make innovation assessments and provide advice respectively. What does this standard cover? 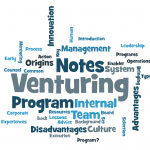 It describes the ideal situation or norm of any organization’s measures to be truly innovative. This is done according to three overarching criteria that determine an organization’s innovation capability: innovation planning, innovation execution, and innovation deployment. The standard covers six major areas: Culture, Leadership, Resources, Processes, Monitoring and Measuring, and Improvement. How does an assessment work? With this standard, organizations can perform self-assessments, which gives them the possibility to opt for a self-declaration to reach level 1. They can aim for higher levels of capability by asking an accredited Certification Partner to rate them against the 3 dimensions mentioned above, which provides an image of where improvements could be made, so as to be able to continuously improve their capabilities to innovate and increase overall performance. Attention has been given to incorporate principles of sustainability. The Innovation Maturity Model is a collection of standards. innovation guidelines, reference documents and tools to build innovation capability. With the model you can build your own custom innovation management system. 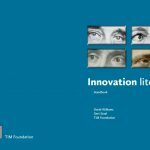 The Total Innovation Management Foundation is a not-for-profit organization devoted entirely to the development and maintenance of the innovation maturity model and the management standards & guidelines.